Star Schema: Each and every dimension present in the Data Source View (DSV) is directly linked or related to Fact or measures table. Snowflake Schema: Some dimensions present in the Data Source View (DSV) are linked directly to the fact table and some dimensions are indirectly linked to fact tables (with the help of middle dimensions). For instance in [Adventure Works DW 2014], [Dim Product sub category] is indirectly related to [fact Internet Sales] with the help of [Dim Products]. 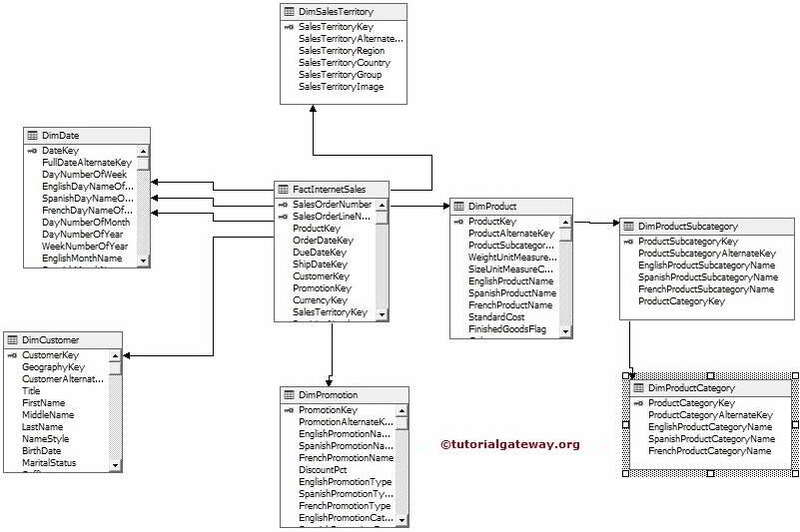 Below table will show the difference between the Star Schema and Snowflake Schema in SSAS. We mostly see the STAR Schemas in small data base or we say small companies Most of the Big Companies or any big database will always belongs to Snowflake Schema. 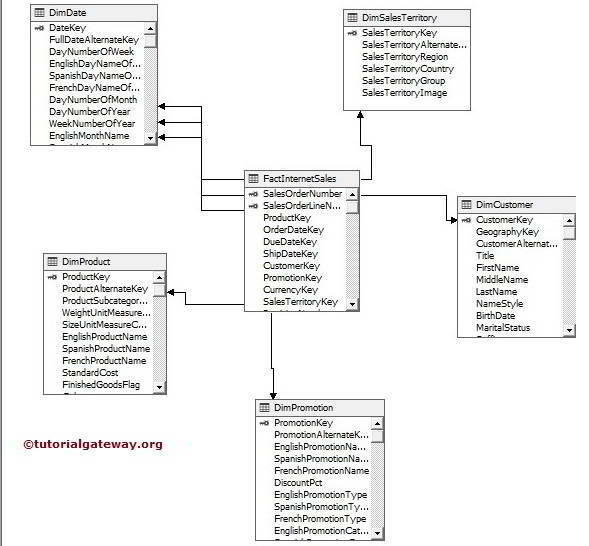 By DE normalizing the database we can convert the Snowflake Schema to star schema By normalizing the database means dividing the table’s data further using primary and foreign keys we can convert the star schema to Snowflake Schema easily. STAR FLAKE: A hybrid structure that contains a mixture of star schema (DE normalized data) and snowflake schema (normalized data). We can see from the below figure [Dim Currency], [Dim Customer], [Dim Date], [Dim Product] tables are directly attached to [Fact Internet Sales]. But [Dim Product Sub Category] and [Dim Product Category] are indirectly connected.